Every performance of Bruce Norris’s Clybourne Park has been met with laughter of all kinds, from boisterous to embarrassed. As production dramaturg Beatrice Basso recently described, the play’s humor can be uncomfortable and charged. Norris’s writing strips away the veneer of political correctness; we laugh at things that we know shouldn’t be funny, and then we question ourselves for doing so. 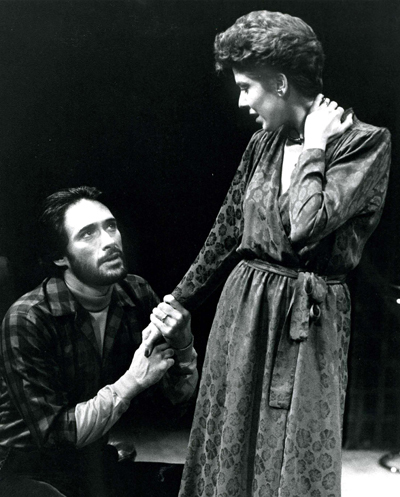 This is perhaps nowhere as overt as with the character of Betsy in the play’s first act. 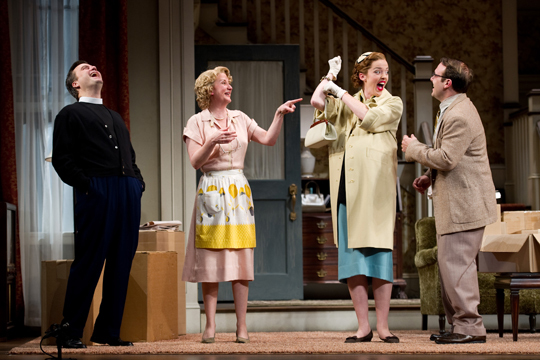 Betsy is deaf, and the playwright makes jokes at her expense. And every night, by Norris’s design, the audience laughs along. Betsy is played in our production by Emily Kitchens, who graduated from the A.C.T. Master of Fine Arts Program last year. We asked Emily about the challenges of presenting this character; she tells us below about the serious inspiration for her comic role. 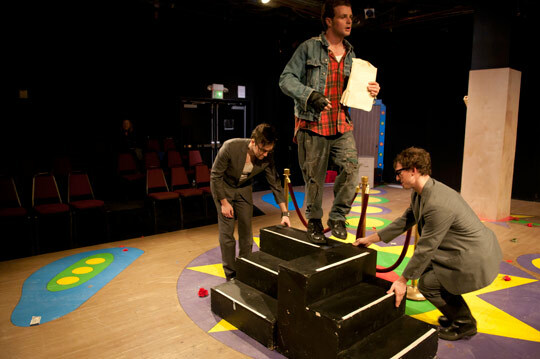 Last week, the Master of Fine Arts Program class of 2012 opened Dario Fo’s Archangels Don’t Play Pinball, directed by A.C.T. Head of Movement Stephen Buescher. The play, a zany satire of political bureaucracy, follows the tough-but-tender underdog Lanky from rags to riches and back to rags again. (Check out a plot description here.) Publications Fellow Emily Hoffman served as assistant director for the production, and tells us what it was like to build a physical comedy like Archangels. If you haven’t seen it yet, you can buy tickets for the remaining performances here.